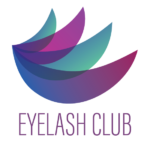 Poor hygiene can cause build up, infections, and affect the durability of the lash bond. Never use eyelash curler or mascara. If your lashes get tangled, use the mascara wand to gently brush them back into place. Do not brush when wet! After cleansing, pat dry with towel, avoid using Q – tips or cotton. Then let them air dry. If setting spray is a must for you, spray product on your hand and apply before makeup. Limit use of gel and liquid eyeliner. The ingredients will ruin the bond of your lashes. Protect your investment! Arrive for touch ups every 2-3 weeks with the same preparation as a full set. On average we lose 1-5 lashes a day, so do not worry if you see some that have fallen out. Please remember to have eyes free from all makeup and mascara. First wash off all makeup and cleanse eyelids. Next, press lash wash foam down into lashes, focusing on the base. (Baby shampoo as an alternative.) Rinse well, pat dry. Once dry, lightly brush if needed. Do not over brush, we want to avoid tension as much as possible. Wash 2 times a day.